Once our services are contracted with a municipality, the assessor has full access to our resources. MTS maintains a secure internet server, also known as an FTP site, which assessors may access remotely with a username and password unique to each municipality. Should they care to do so, the assessor may allow his staff to access the site. The site allows instant access for assessors to vital case materials including Initial Correspondence, Contact Logs, and Rebuttal Correspondence. 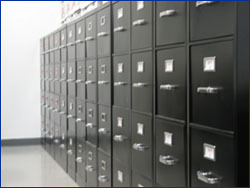 All materials are stored digitally with access restricted to the corresponding municipality to ensure security and confidentiality. Along with digital storage, daily backups are performed for data integrity and physical copies are maintained on the premises for every investigative file. Assessors who desire statistical analysis of our investigations have access to this information 24 hours a day, 7 days a week via the company's FTP site. The statistical analysis includes such data as the number of potential taxpayers identified and pursued, the number of vehicles and business entities billed , total tax years reclaimed and the net assessed value for each category broken down by tax year. As changes occur in our database (adds, deletes and corrections) these statistics are automatically updated so whenever the analyses are accessed the information is current. Assessors are also capable of uploading essential files for use by MTS during investigations into potential tax payers. These files may include, but are not limited to, grand list information, prior assessments, changes in the assessor's criterion, stationary, add-ons and deletes from the DMV or other municipalities.